The Humanizer’s features are built to make your gameplay as human as possible, while being so smooth that even other players on the server won’t notice you using a cheat software. We have members who have easily made it to Global Elite and safely used the aimbot on stream. Read more of our testimonials here. Dynamic FOV: Have your humanizer automatically adjust your FOV for the correct situation and environment. Triggerbot RCS: The humanizer works side-by-side with the triggerbot, allowing RCS usage. Full Stream Proof Visuals: All visual features besides those specified are not visible to viewers who watch your stream. Distance Box: Draw a box around the target and highlight the box a certain color depending on your distance. FOV Crosshair: Know your limitations with the humanizer. Defusing Notification: Adjust your gameplay to a notification on when a player is defusing. Bomb Timer: Display bomb countdown when planted. Spectator List: Want to know if somebody’s spectating you? Enable this. FOV Changer: Get rid of CS:GO's horrible default FOV and adjust it to a comfortable view. Hitmarker & Hitsound: When you do damage to an enemy, you will be notified. Fully External: All managed through kernel queries and completely written for external use only. Worrying about internal features being detected which has evidently increased the past year is no longer a concern. fantasy.sdk: Software Development Kit is available for all Members who would like to build custom plugins/features for the cheat. GUI-Less: Perfectly optimized for LAN usage. 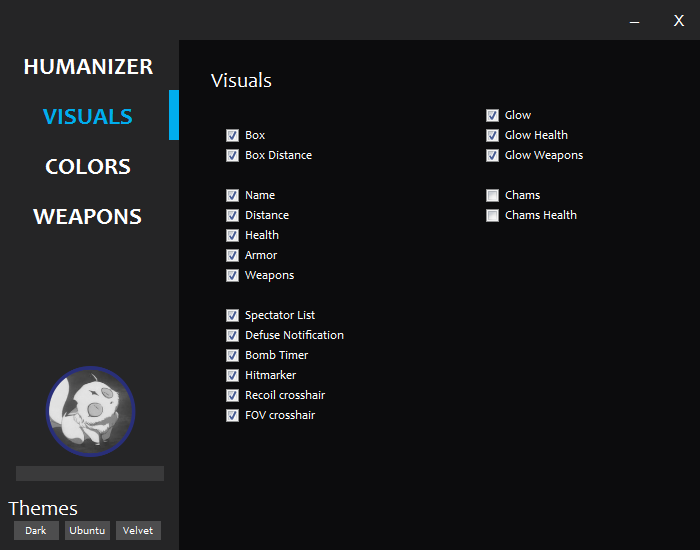 Configuration editing is done on the Member's Panel. Report & Commend Bot: Membership and access to a report and commend bot provided by fantasy.cat. Community Events: Being part of the community grants you the ability to participate in community events where you can earn free fantasy.tokens or license extensions. 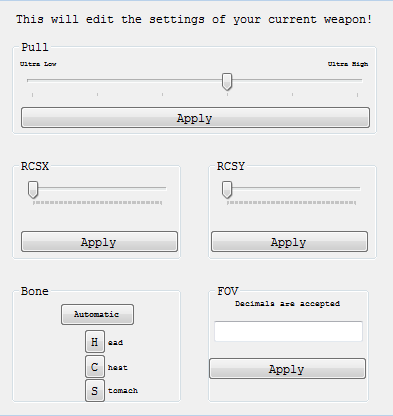 Ingame Command System: Access to 40+ commands ingame that allow you to change your settings and modify values. Optional feature. Ingame Forum Notification System: Stay active in the community with ingame notifications on your unread messages or alerts. Binding: You can create binds with the ingame command system.